ONLY now, six months on, can James Tedesco admit how much the boos stung. 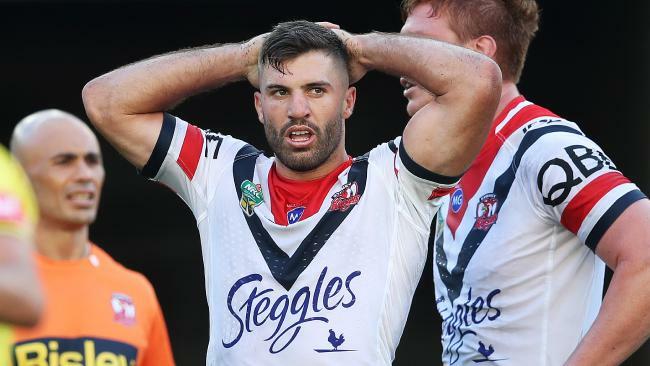 It was a rugby league promoter's dream - the Sydney Roosters' star signing coming up against his former club, Wests Tigers, in round one of the NRL season. But the dream turned into a nightmare for Tedesco, who struggled in a shock 10-8 loss. Even worse were the howls of derision that came with every touch bar one - when Tigers fans celebrated a bombed early try from the star fullback. "I was trying to think of it as a normal game," Tedesco said. "You don't expect to go out there and get booed. It's a different experience. It got to me a bit and affected me for a few weeks after that. "I didn't play how I wanted. When I got rid of that and stopped trying to think of the externals, that's when I played some good footy. "Social media I copped it a lot. You try and ignore it but it's pretty hard when you go on your phone and you're reading it all the time. "I probably haven't been on Twitter since the start of the year. On Instagram I just try and ignore it. when I was going through that period I tried to stay off it as much as I could because even thought you think it doesn't affect you - when you read it, it does stay on your mind." It was not until the State of Origin series that Tedesco felt like he was able to fully adjust to his new surroundings. Tedesco feared for his spot in the NSW Origin side after his slow side as Manly fullback Tom Trbojevic mounted a strong case for the No.1 role. But Tedesco starred for NSW and this week walked away with the Brad Fittler Medal for the Blues' best player. "I wasn't as secure as I wanted it to be," Tedesco said. " At the start of the year it was mine to lose but I wasn't playing - it wasn't bad footy - but not the greatest. There was a lot of external pressure. It was a new change for me, changing clubs. I wanted to start playing good footy. "Around Origin time I started to hit my straps." The qualifying final win against Cronulla doubled as Tedesco's first finals appearance. 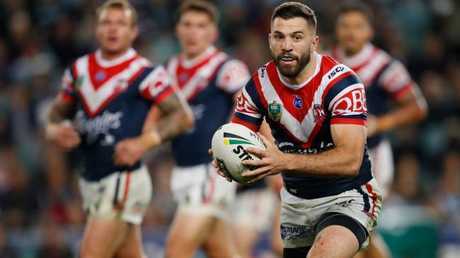 He said his game had evolved significantly since joining the Roosters this year with his side just one win away from a grand final appearance. "I felt like I've played a different role then I did at the Tigers," Tedesco said. "At the Tigers I was trying to do everything and create the plays. I learnt at the Rooster I'm in a quality team I don't have to overplay my hand. "I learnt that early on in the first month or two or footy. I just had to do my job and things will come off the back of that.